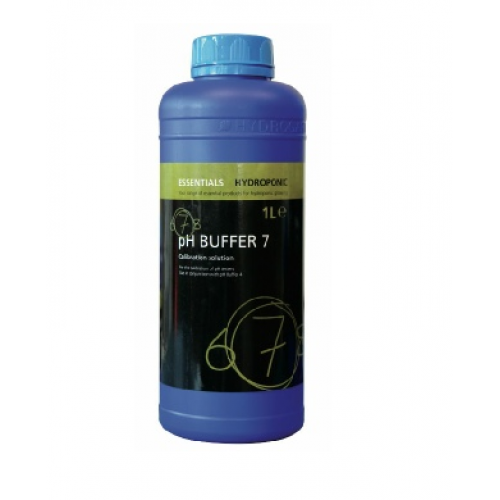 Essentials PH Buffer 7 is simply a liquid with a constant PH value of 7. This product is used to calibrate digital PH meters. Digital PH meters will have a calibrate function usually a button to hold and all you would do is place the meter in the buffer 7 and perform a calibration. Try and calibrate your meter once a week with buffer 7 as you will find that all PH meters drift out of calibration over time.